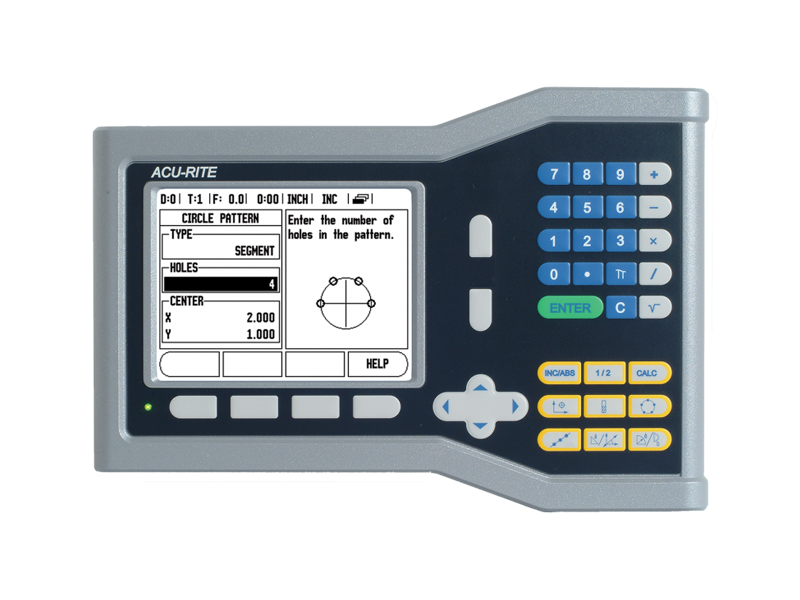 Digital readouts from ACU-RITE make your manually operated machine tools more profitable, improve productivity, and raise the quality of the machined workpiece. The large LCD display clearly shows the actual axis positions. The context-sensitive graphical user guidance makes working with digital readouts from ACU-RITE a pleasure. Together with the linear scales from ACU-RITE they form an economic and effective package solution for initial setup or retrofitting on your machine tool. 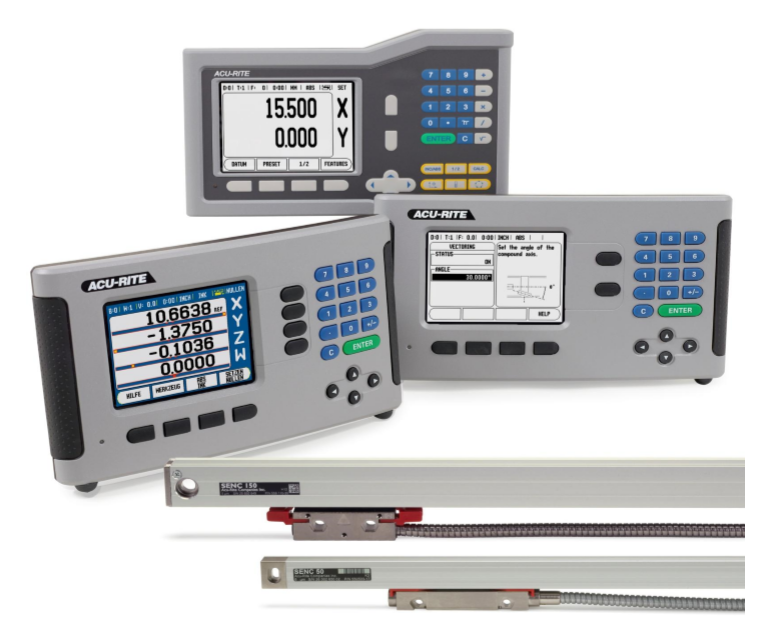 Designed and manufactured in the USA, ACU-RITE readouts are the first choice of machine tool builders and users alike. For Acu-Rite Product Documentation Click Here. 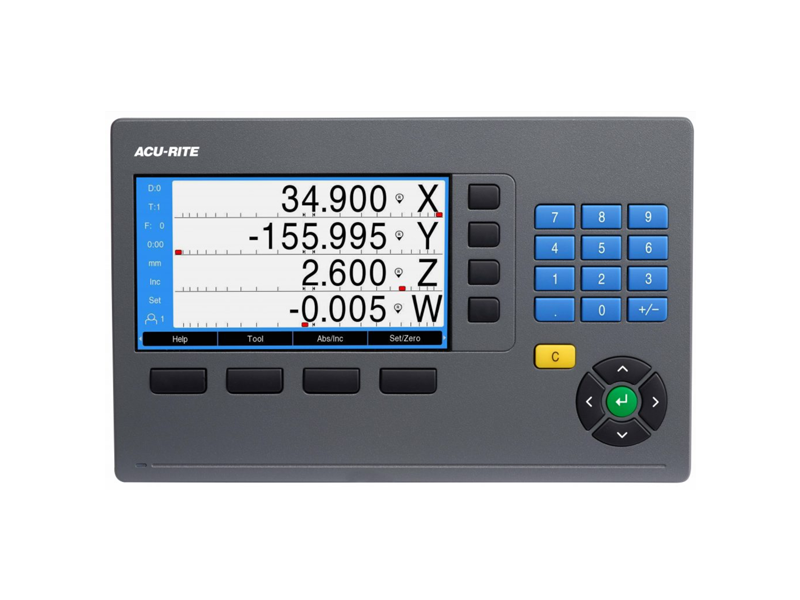 The ACU-RITE DRO102 is an up-to-three-axis device mainly used as position display unit for simple infeed and positioning task. All new 7" TFT Color screen with dynamic zoom/axis highlight feature. The most cost effective, entry level digital readout system that incorporates flat panel display technology, the DRO102 offers many popular features and versatile software to accommodate milling, turning and grinding applications. 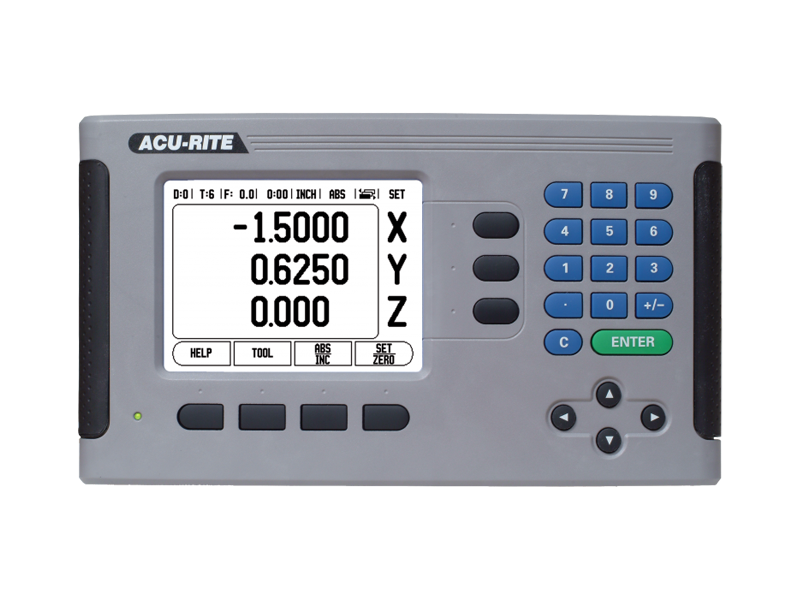 The ACU-RITE DRO200 series with LCD screen technology offers the possibility of running different types of operations with just one readout. Simply use the software to switch between turning mode or milling and drilling mode. The context-sensitive graphical user support on the crystal-clear 7" TFT Color screen makes working with the ACU-RITE DRO200 series a pleasure. The DRO303 is equipped with a 7-inch TFT Color l display for position values, dialogs and inputs and soft keys. The soft keys are used for diverse functions, mainly for operation and parameterization. In addition, the DRO300 is capable of all the functions of a programmable counter, such as the creation, editing, storing and running of programs. Numerous programs with differing names can be saved in the program list. 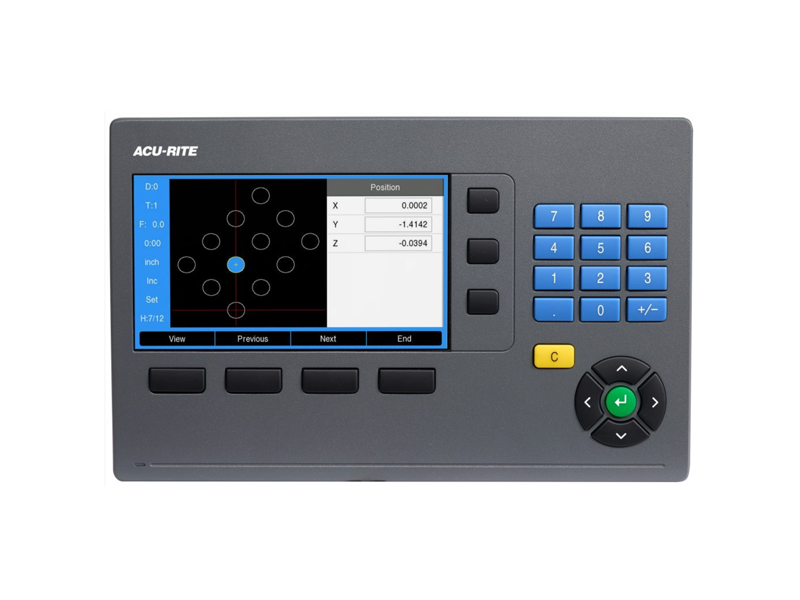 The ACU-RITE VUE is an up-to-three-axis device mainly used as position display unit for simple infeed and positioning task. The clear and unambiguous display of the current position value on the large, clearly structured LCD screen makes working with the VUE easy and reliable. The most cost effective, entry level digital readout system that incorporates flat panel display technology, the VUE offers many popular features and versatile software to accommodate milling, turning and grinding applications. 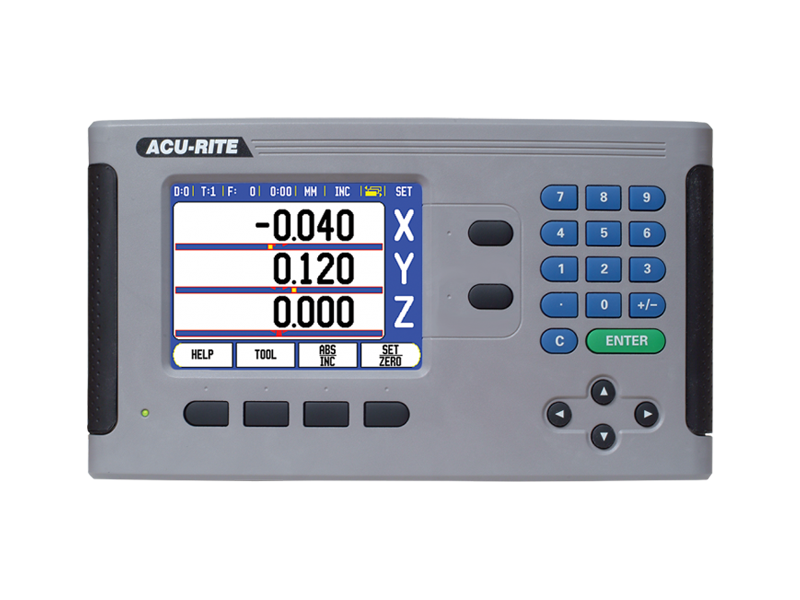 The ACU-RITE 200 series with LCD screen technology offers the possibility of running different types of operations with just one readout. Simply use the software to switch between turning mode or milling and drilling mode. 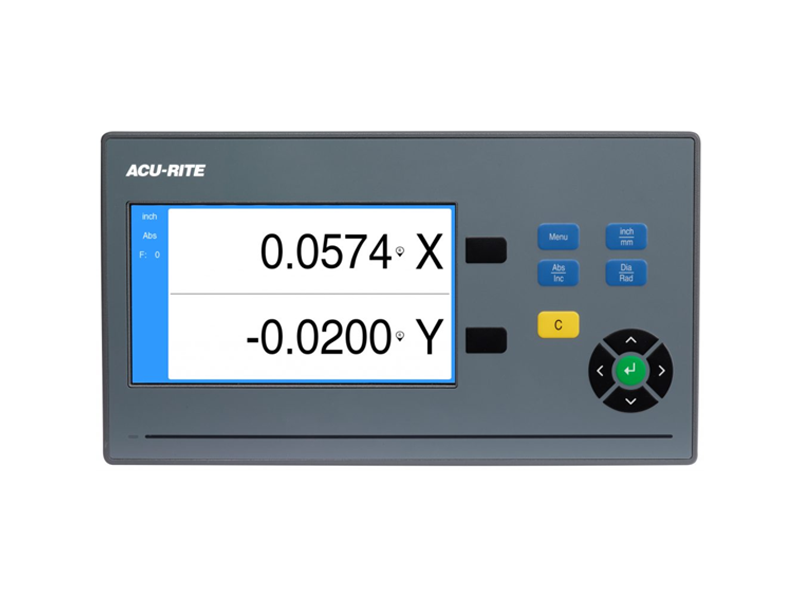 The context-sensitive graphical user support on the crystal-clear LCD screen makes working with the ACU-RITE 200 series a pleasure.